Voice Search – Is Your Site Ready? How to Adjust Your Site? 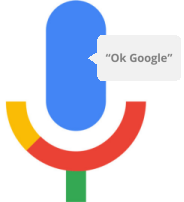 Content is key to being successful with Voice Search and there are a lot of strategies that come into play. 1. Write specifically for human beings to speak the words on the page. Adjust our writing styles to accommodate voice devices reading content out to people. 2. Know your audience – stop and define exactly who you’re talking to. Quality, Uniqueness, Authority, Relevance and Trust become hyper-critical. 3. Get to the point and quickly: Not only will clearly defining who your audience is but also why they’re on your site and what they want to accomplish will help you laser focus your message. 4. Test out the systems – Played with Alexa. Asked Siri any important questions or even taken the time to test out the voice search options on your phone? Test a Google Home device you’ll see that if you search for Local Business in your area that the content being provided is being pulled from Google My Business. 5. 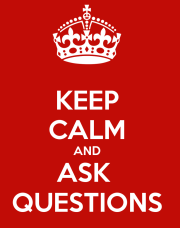 Leverage FAQs – Human behavior changes when you’re talking versus writing something out. You don’t speak keywords like you do when typing a request. 6. Read your content out loud: This is something every single writer should do without fail but Voice Search makes it that much more important. 7. Think to the Future… Ponder how voice search considerations will change the way you deal with the information you publish about your business. It’s all too common for a business owner to behave as if their company’s website is for them. What the business owner, designer and agency all fail to recognize is that a website is not an exercise in vanity. Its main purpose is not to impress site visitors by being creative. A business website is a tool prospects use to find a solution to their problem. Consumers are not arriving at business websites so they can be entertained. Their goal is not to be amazed or impressed. Their purpose is to find a solution that will satisfy their burden. It is easy to set up a website for success when it’s being built on the proper foundation. To do so, one simply needs to identify the who, what, how and why of the audience. 1. Who is the website being built for? – When a website ignores the consumer and is built off the website owner’s vision, then everything about the consumer becomes secondary, if not completely ignored. 2. What are their problems they are trying to solve? – When the audience is identified and their motivation is properly understood, then the most dangerous obstacle to any website has been successfully passed. 3. How do they arrive to the website? – What keywords does the website show up for when consumers are searching for answers to their problem? What pages of the website show up for what keywords? What is the user intent for each keyword? Are users arriving organically or through paid channels? 4. Why are they there and what are they hoping to find? – The motivated buyers can be presented with content that guides them to a conversion. The discovery stage consumers can be presented messaging that captures and graduates them further along the buyer’s journey. If a website ignores its audience, it doesn’t know who it’s talking to and it doesn’t know what to say. It doesn’t know what is important to the consumer, and worse, it doesn’t care. 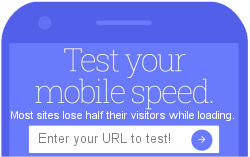 Test your mobile speed, as loading speed is extremely important in the mobile world. If your site takes more than a few seconds to load, according to Google Analytics, visitors will leave! It’s no secret that shoppers expect a fast mobile experience. If there’s too much friction, they’ll move on. Today, it’s critical that marketers design fast web experiences across all industry sectors. Consumers want to quickly pay bills on finance sites, get rapid results when they’re browsing vacation reviews, and view an article immediately when they click through. Despite the fact that more than half of overall web traffic comes from mobile,data shows that mobile conversion rates are lower than desktop. In short, mobile page speed equals revenue. Run your report and send me its details; I will then be able look at and possibly adjust your main page.